Junior riders Philip Guidi, Mariana Neves, and Rafaela Barreto will represent Brazil in the CEIYR 120 Km 2* in Christiana, South Africa on 1 May 2010. This test is part of the international exchange of Young Riders Challenge Intercontinental Endurance Riding/Circuit des Courses Jumel, participatory approach in evidence in 5 different continents. Project created by Nicolas Wahlen (France) with the participation of William Ferreira Santos (Brazil), Jjoskin Janos (Hungary) and Derek Liedenberg Zulu (South Africa). BAHRAIN Royal Equestrian and Endurance Federation (Breef) president Shaikh Khalid bin Hamad Al Khalifa announced yesterday that His Majesty the King's Endurance Ride Championship will headline a one-day Equestrian Festival, set to take place on Saturday next week at the Bahrain International Endurance Village in Sakhir. Shaikh Khalid approved the preparations for the event, which will be sponsored by Marsa Al Seef. The endurance ride for His Majesty the King's Cup will be over 120 kilometres. It is expected to attract many of Bahrain's best endurance riders from leading stables all across the kingdom. Many other top riders from all over the GCC may also compete. The ride will kick start the festival with a flag-off at 7am. The race will then be run over five stages, starting with a 30km opening stage, followed by 29km and 25km legs. The penultimate stage will be over 20km, while the final will cover 16km. Shaikh Khalid has ordered for prizes to be awarded for the winners of each stage in the race, to further raise the level of competition for all those taking part. The festival will continue at 9am with a showjumping event for Grand Prix class riders. At 10am, a competition featuring purebred Arabian horses will take place, followed by a special "Cowboy" event at 11am. The awarding ceremony for all the events is expected to get underway at 1.30pm, to be followed by a raffle for all members of the public who attend, in which many attractive prizes can be won. Abu Dhabi: Abdullah Rashid Mohammad Saeed Al Naqbi of Warsan Stables, riding Blue Bonnet, won yesterday's 120km HH The President's Cup for Junior and Young Riders endurance ride at the Boutheib International Endurance Village. Al Naqbi, who was fourth going into the final stage, unleashed a speed of over 31 km/h on his 13-year-old Blue Bonnet to win the prestigious ride for juniors from Ahmad Saeed Al Faresi. Al Faresi, riding 13-year-old Fenwick Cadenza, was second in the third and fourth loop. He could not match the final loop speed of Al Naqbi's Blue Bonnet and had to stay content with second place. Hamdan Mousa Mohammad Al Hamadi, who had won this ride in both 2008 and 2009, finished fifth on Lauralyn Davo, with Rashid Ahmad Al Beloushi and Ahmad Ali Al Sabri finishing ahead of him. In the 120-km ride for Private Owners, only three riders could complete the event with Indian work rider Narayan Singh Dungar Singh at Al Ain Endurance Stables winning the event. Singh, riding 11-year-old Paloma GB, dominated the ride and led for most of the 120km distance to complete the ride in 5 hours 17 minutes and 15 seconds. Uruguay's Eduardo Saravis Herrara on Ylmood finished a close second to complete a 1-2 for trainer Matar Suhail Al Yabhouni while lady rider Laila Abdul Aziz Al Reda secured yet another podium finish with a third-place finish. Results (top five) of 120km HH The President's Cup for Junior and Young Riders: Abdullah Rashid Mohammad Saeed Al Naqbi (Blue Bonnet) 4:40:45; Ahmad Saeed Mohammad Al Faresi (Fenwick Cadenza) 4:42.15; Rashid Ahmad Al Beloushi (Al Barak) 4:47.17; Ahmad Ali Al Sabri (Mahaleb du Paon) 4:51.33; Hamdan Mousa Mohammad Al Hamadi (Lauralyn Davo) 4:55.05. Top three in 120km ride for Private Owners: Narayan Singh Dungar Singh (Paloma GB) 5:17.15; Eduardo Saravis Herrara (Ylmood) 5:17.18; Laila Abdul Aziz Al Reda (Umm Khammas) 5:21.50. ABU DHABI - Emirates Heritage Club will organise the UAE President's Youth and Juniors Cup for endurance on Saturday at Bou Theib International Village for Endurance at Al Khatm. The club in conjunction with Emirates Equestrian Federation organises the UAE President's Youth and Juniors Cup for endurance - 120km, UAE President's endurance cup for UAE nationals for 120 km and two other qualifying endurance races for distances of 40 and 80kms, the events will be held under the sponsorship of Sheikh Sultan bin Zayed Al Nahyan, Representative of UAE President and Chairman of Emirates Heritage Club. Many knights are expected to take part in the event. What a landscape, what a fairy background for this 80km endurance ride, marvellously organized by the Jordan Federation under their President HRH Princess Alia bint al Hussein, a thoroughbred horse lady herself. The Vet Check took place in a niche between two bizarre mountains, perfectly formed to serve as a grand stand for the visitors. Two groups, Endurance Qualifier/80km and International Endurance Ride FEI CEI one star over 80 km, and more than 100 horses were presented at the Vet Check on 13th of November, 2009. The ride was in 3 loops of 30, 30, 20 km and went over completely changing ground, from deep sand to rocks and gravel. Most of the horses were in very good shape and only a few were eliminated at the Vet Check. Looking at the "breed" it mostly said: local. Wonderfully shaped heads, elegant bodies and good sound legs and hooves, they loved to run. A German lady, riding at international level in Europe, was promised a horse as an exchange for a possible ride in Germany on one of her horses. The horse they presented for her at the Vet Check was completely lame, obviously from the transport, finally, 5 minutes before the start at 6.00 o’clock on 14th November, she was offered another horse, the owner was from Petra, and the horse was very much attached to him. Indy, the horses' name, fought a very fierce battle with poor Susanne, the German riders' name, for the whole first loop of 30 km. Had she taken all that power and tried for the first places, I think she would have come home after 80 km among the first 5 horses. When the horses assembled for the start, it was dark and very cold, at the start the first light of the day came up and painted the amazing rock formations in all different colours of pink to red, an image one can never forget it was breathtaking! For "greenhorns" like me the desert looked mostly everywhere the same, and without the scout qualities of Mr. Abdel Aziz Al Hasanat, father of "Indies" owner Hamzah, I would have been lost and never found back to the Vet Gate. Once we got stuck in the sand, but out of the blue there were other 4-wheels who helped us out. Following Susanne and Indy was fascinating; more so to see how the horse finally accepted the "new rider", became well bent and good at the reins, responding to the orders of her rider! The World Champion of WEG Aachen 2006, Miguel Ubach from Spain who also was supposed to ride a rented horse from the Royal Stables, the horse was lame at the Vet Check, was so lucky to get "Qual" a Polish bred gelding from the stables of HRH Prince Ali Bin Al Hussein, normally ridden by the stable manager of HRH Prince Ali's stables, Jehad Shhaltough, who broke his ankle the evening before the ride. This horse "Qual" was born in 1990 and looks like a very young horse, he won the international race and did the last loop of 20 km at an average speed of 27 km/h, amazingly fresh he came into the Finish after altogether 4 h 32 mins.51 seconds. Of the 46 horses which had left the start at six o’clock in the morning, 24 came in “fit to continue” among them was "Indy" with Susanne! That means more than 50% succeeded, which is a very good finishers rate. Wadi Rum was an experience to all of us and we felt the spell of this corner of the world, which has been inhabited by mankind for the last 19 000 years, rock carvings found in the mountains here give us evidence of this theory. Too short was our stay there and we had too little time to experience history and fauna and flora, and: no time for dreams! Dubai: The Shaikh Majid Bin Mohammad Al Maktoum Ladies Endurance Ride over 90 kilometres and the Shaikh Majid Bin Mohammad Al Maktoum Endurance Challenge over 100km will be held at Dubai International Endurance City Friday and Saturday, respectively. The Ladies Endurance Ride-CEN 90km is restricted to UAE and Gulf nationals and Arab nationals living in the UAE. The ride consists of four loops: Yellow (37km), Green (27km), Pink (16km) and White (16km). The vet check will take place today between 3pm and 5pm. The Endurance Challenge is restricted to UAE nationals from private stables and individuals. The ride consists of four loops: Yellow (37km), Red (31km), Green (27km) and White (12km). The vet checking will take place tomorrow between 3pm and 5pm. The general manager of the Dubai Equestrian Club, Ali Mousa Al Khamiri, said: "We expect this ride to be highly competitive and it is sure to attract some of the best endurance riders here in the UAE and the region. "We are truly grateful for the support from Shaikh Majid Bin Mohammad Bin Rashid Al Maktoum, Chairman of Dubai Culture, and we wish all riders the best of luck and welcome all spectators to come and enjoy this weekend event." A Toyota Land Cruiser is up for grabs for the first place winner of each race, while the second place winners will receive a Nissan Patrol and the third place winners will receive Dh100,000 in cash. Fourth place winners will be awarded Dh90,000 and the amount will decrease in equal equation until the 11th placing, which receives Dh20,000. AN EARLY GBP 800 to send a British Endurance Riding team to the World Equestrian Games in Kentucky was raised by an auction of promises at the annual Awards Dinner of the South West Group of Endurance. All the groups of Endurance GB have been asked to raise money towards the team's expenses, which will be around GBP 15,000 per horse for air fares and stabling. At the prize-giving following the auction, it was the younger members of the group that rode off with many of the awards, promising well for the future of endurance riding in Devon and Cornwall. Jennifer Bridge from Plymouth on her 15.3hh eight-year-old Arab gelding, RA Djoser, won the Open Level Challenge Shield. "We won the Novice Trophy in 2008, which was our first year of competing in endurance," said Jennifer. "I am delighted that now that we have moved up to Open Level, Djoser is still doing so well. "We bought him as a three-year-old. He has a lovely temperament but is very fast. We did our first 80km (50 miles) at the Camelford Ride last summer and he won the prize for best conditioned horse." Climbing to the Federation Equestrian Internationale (FEI) world youth ranking of second in November last year, Glen Innes endurance rider Tami Parnell is hoping to continue to balance work, study and endurance riding, vying for a ranking in the FEI open division this year. The 21-year-old began riding at pony camps from the age of six. Through trainer Elsie Newsome she became interested in endurance riding. Ms Parnell said horse riders either went into pony club, campdraft or endurance riding. "You do endurance because you love it. There would be no other reason to get up at midnight and ride for 17 hours," she said. Ms Parnell rode a total of 1200km all over Australia, South Africa, Namibia, and New Zealand over the past 24 months. She has ridden for some of the top Australian stables like TOFT Endurance and Castlebar. Her FEI ranking is based on kilometres, accumulating points for the number of kilometres ridden and place achieved (first in a 120km ride is 120 points). Ms Parnell said she placed in the top six in all eight FEI youth rides she competed in last year, including second in Western Australia. WITH Alexandra Toft's world junior ranking now at number three, she has turned her attention to qualifying for the World Equestrian Games in Kentucky this year. The 14-year-old Toft, who said she was "very excited" to have won the Australia Day sports award for Ipswich, excelled in her debut World Youth and Junior Endurance Championships in Hungary last year with a 17th placing in the gruelling 120km event. The next World Youth and Junior Endurance Championships are in the Middle East in 2011 but the World Endurance Championships, for seniors, is part of the program in Kentucky. Toft, who lives at Marburg, said she had to compete and excel in as many 160km events as possible to qualify for the world titles. The FEI launched a new website dedicated to its ongoing Clean Sport Campaign. The website contains information about the new regulations that the FEI is implementing this year to combat doping in equestrian sports. The rule changes and other components of the Clean Sport Campaign were approved unanimously at the FEI’s General Assembly in Copenhagen last November. The site is specifically tailored to the needs of athletes, vets, officials, media and others to help them understand their roles in the Clean Sport Campaign. The site also contains details about the new Equestrian Community Integrity Unit that was a key recommendation of the Joint-Commissions to help monitor corruption, identify offenders and conflicts of interest in equestrian sports, as well as safeguard horse welfare. Members of the Equestrian Community Integrity Unit will be present at major FEI events beginning in April. The new Clean Sport website will be complemented by the FEI’s revamped website www.fei.org which is due to be launched shortly. come and watch the top 100 horses in NZ Endurance race. * Riding will be along the stopbank system of Otaua-Aka Aka district and into the Waiuku Forest, a course of 160km in total. * The competition takes place over two days and nights on the Saturday and Sunday but Otaua Village will be "horsey" from as early as Tuesday 26th January and until Monday the 1st February. * This is an international event with over 15 foreign entries and officials. * Competition starts at 1.00am Saturday (Yep, that's in the morning!) and will continue until approx 6pm Saturday. Competition on Sunday starts at 4.00 am and goes through to about 4pm on Sunday afternoon. KUALA TERENGGANU, Jan 24 (Bernama) -- Riders from the Royal Terengganu Endurance Stable (RTES) took the first four prizes in the 80km category in the RTES championship which ended today. They are Abdul Halim, who won the first prize, Mohd Bukhari (second), Mohd Afifi Firdaus (third) and Asri Abdul Aziz (fourth). Fifth place was won by Datuk Mohd Shuaib Ishak from the Ar-Raudhah Equine Centre. Fifteen participants took part, but only 13 were able to complete the race. For the national-level competition in the same category, Muhamad Suhaidi Syawal from the An-Nassir Equestrian Club finished first followed by Amir Ghani Ahmad (Penn Endurance), Tengku Sri Temenggong Raja (State of Terengganu Endurence Team)and Aizuddin Aripin (Masterscaff Endurence), in the second, third and fourth place respectively. In the 40km category, Aminuddin Abdullah and Mohd Faizal Hamid, both from the State of Terengganu Endurance Team (STET) won the first and second prize respectively, while in third place was Zainuddin Yusof, from the Elmina Equestrian Centre. The RTES championship was also held to prepare riders for the Malaysia Games in Melaka in June. Abu Dhabi : After impressive displays in the junior level, Hamdan Mousa Mohammad Al Hammadi scored an emphatic victory in the 100-km Shaikh Zayed Bin Mansour Bin Zayed Al Nahyan Endurance Cup Ride for Private Owners held at the Emirates International Endurance Village here yesterday. Hamdan, rode a well-judged race to finish ahead of Ahmad Ali Amer Omar Al Hadrami on Rowallan Shanty after the two battled for the lead over the four-loop ride. Ahmad led after the first stage of 32km and Hamdan was second at that stage. After the next stage of 28km, Ahmad kept the lead but Hamdan eased off a bit and was in fourth place giving his 10-year-old chestnut gelding some respite. It was in the penultimate stage of 24km that Hamdan made his move and established a two-minute lead over Ahmad which proved decisive over the final loop of 16 kms. Federation in Assam's Dibrugarh city on Friday. , USA and Argentina participated in the special event. It was a special experience for the riders who were thrilled to partake in the competition. "I am delighted to be here and honoured to have been invited. Everyone has been so friendly and so helpful. Horses are absolutely marvellous. Again, I am really honoured to be asked to ride such a lovely horse," said Cariene, rider from United Kingdom. The highly acclaimed 60-kilometre track was laid partly along the bank of the mighty Brahmaputra River and across the picturesque tea gardens. 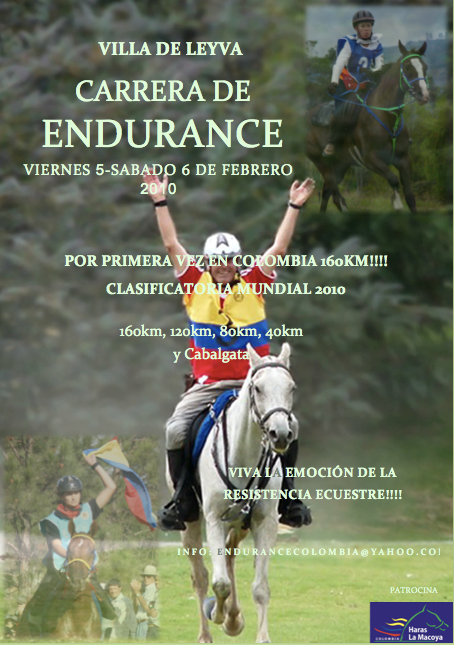 "It is international endurance ride, 60 kilometre endurance ride. We have named it Eastern Himalayan Ride. We had invited six countries out of which four have arrived. Four countries are participating here today from USA, UK, Switzerland and delegates from Argentina," said Siddharta Sharma, general secretary of Equestrian Federation of Assam. Abu Dhabi : Saudi Arabia's Latifa Al Shaikh got the best out of her 14-year-old grey gelding Coolaroo Jubal on the final two loops to win the 90km Shaikha Fatima Bint Mansour Bin Zayed Al Nahyan Endurance Cup for Ladies ride yesterday at the Emirates International Endurance Village. In a close finish, Latifa finished ahead of Morocco's Maha Khalid on Princess Diana TE with Estonia's Kaja Tuist on Chazar Queen of Hearts in third place. Kaja Tuist set the pace, recording an average speed of nearly 30km an hour in the first stage of 30km, and maintaining that lead after the next stage of 24km. However, in the third loop of 20km, Latifa made her move and soon went ahead to top that stage with Morocco's Maha moving into second followed by Spain's Uma Mencia Uranga while leader Kaja Tuist slipped to fifth place. Going into the final stage of 16km, Latifa, who has been involved in equestrian since the age of four, used her skills to keep Coolaroo Jubal in good condition and won the 90km ladies ride. Maha finished second while Kaja Tuist again moved into third place. Dibrugarh, Jan. 22: Indian riders from the Remount and Veterinary Corps (RVC) today emerged the best in both individual as well as team events in the Eastern Himalayan Ride (International Invitational Endurance Championship) held in Dibrugarh. Altogether 30 riders of international repute from nations like the UK, Switzerland, the US, Argentina and hosts India took part in the 60km daylong international event. Acting lance dafedar (ALD) Krishan Kumar from RVC riding a horse named Chandan won the gold in the individual category. Kumar was followed by Suse Kathi Muhlethaler of Switzerland (astride Monu) and Martha Misheff from the USA (astride Moon Star). In the team event, the RVC-A team bagged the top spot. The team was represented by Naib Subedar Rajesh Kumar (astride Prince Top), dafedar Pradeep Kumar (astride Terminator), ALD Beant Singh (astride Vicky) and ALD Deep Chand (astride New Star). The RVC-B team came second. This team was represented by ALD Krishan Kumar (astride Chandan), Sawar (SWR) Ramesh Kumar (astride Hercules), SWR Amit Yadav (astride Noble Man) and SWR Mukesh Kumar (astride Jan Baj). The Director General Assam Rifles Equestrian team came third. The event was hosted by the Equestrian Federation of Assam (EFA) with assistance from the EFI. As the 2010 World Equestrian Games grows closer, riders around the world are gearing up for qualifications and demonstration rides. Ride manager Daniel Brown organized a 'Git R Done' AERC/FEI ride in the southern California desert for just this purpose. A few dozen riders attended, entering the 50, 75 and 100 mile event. Heather Reynolds won the 100 mile event riding Ssamiam in a time of 9:59:57. Jeremy Reynolds and Makazin won the 75 mile ride with a time of 7:07:41, and Junior rider J.J. Donley (riding only under AERC sanctioning) won the 50 mile ride on My Mamselle with a time of 4:59:23. Abu Dhabi: Over 100 riders from private-owned stables will be taking part in Saturday's Shaikh Zayed Bin Mansour Bin Zayed Al Nahyan Endurance Cup at the Emirates International Endurance Village in Al Wathba. Addressing a press conference on Tuesday at the Abu Dhabi Equestrian Club (ADEC), ADEC Director General Adnan Sultan Al Nuaimi said, "We are expecting over 100 riders for this event which is a national ride. "The ride is being held under the directives of Shaikh Mansour Bin Zayed Al Nahyan, Deputy Prime Minister and Minister of Presidential Affairs." "Like in the Ladies Ride, a total purse of Dh500,000 including two cars will be on offer for the winners and those finishing at the top. "This event is to encourage riders from small stables and private owners," Adnan said. Saturday's ride is being sponsored by Bonyan International Investment Group LLC, Abu Dhabi Sports Council, Al Medmar magazine and Wathba Stud Farm. "The Wathba Stud Farm of Shaikh Mansour is backing this endurance ride as it gives riders from smaller stables to compete among themselves and graduate to higher levels," said Lara Sawaya representing Wathba Stud Farm. "There are so many promising riders in the UAE and these rides have been attracting large fields." ABU DHABI - More than 70 top women riders from the UAE and other parts of the world are all set to vie for honours in the Fatima bint Mansoor bin Zayed Al Nahyan Endurance Cup for Ladies at the Emirates International Endurance Village in Wathba on Friday. Winners will walk away with a four-wheel-drive car and handsome cash awards worth Dh500, 000, Adnan Sultan, director of the Abu Dhabi Equestrian Club (ADEC) said on Tuesday. The event has also received the support of the Bonyan International Investment Group, Abu Dhabi Sports Council, Wathba Stud Farm and Al Medmar Magazine. Adnan Sultan Al Nuaimi said during a brief news conference: "Entrants for the Shaikha Fatima bint Mansoor bin Zayed Al Nahyan Endurance Cup exceeded70 riders from different nationalities. The race will extend over a distance of 90 km at the desert village. The race will start at 7am." Meanwhile, all arrangements have been made and 200 students from the schools in the emirate of Abu Dhabi will travel to Al Wathba to watch the race," Talal Al Hashemi, from the Abdu Dhabi Sports Council (ADSC) confirmed. Dr. Noor Al Deen Atatreh, vice president of Bonyan said: "We would like to thank the organisers for giving us an opportunity to support this event." Lara Sawaya, managing director of Tasweeq, the associated organiser of the event thanked the sponsors for their great support. "We are pleased to see women sport growing under the watchful eyes of the officials and courtesy of our faithful partners and sponsors," she said. Qualified endurance horses in Australia must now be microchipped before they can compete, under new rules effective from January 1. The Australian Enduance Riders Association (AERA) will not issue a logbook to horses without a microchip and a full veterinary identification. The move follows the Equine Influenza outbreak in 2007, when many horses in New South Wales and Queensland were microchipped by the Department of Primary Industries (DPI) after being vaccinated. "The Government at the time stated that they would like all horses to be microchipped for tracking and ease of identification," said AERA secretary Anne Jones. The horse world is on red-alert following the news that two horses carrying Equine Infectious Anaemia (EIA) — often termed "swamp fever" - have been found in Britain. Swamp fever is not transferable to humans but is fatal in equines. If an infected horse does not die, it will carry the disease for life and faces indefinite isolation or compulsory euthanasia. It causes intermittent fever, anaemia, emaciation and death. The horses were imported into the country from Romania via Belgium on 22 December. They arrived in a group of 10 horses, nine of which originated from Romania and one from Belgium. "The FEI must turn a new leaf in order to guarantee its community a clean and uncorrupt product. The Stevens Commission and the Ljungqvist Commission have both painted a picture that illustrates how negligent we have been in this area thus far and our governing body is completely committed to rectifying the problems we now face, for the benefit of our athletes, our community and our public." Equestrian sport derives its credibility and public acceptance from the concept of fair play, the idea that the best athlete or team should win fairly and squarely, having competed under equitable conditions and under rules that are fair and applied evenly with true competence. To be valid and meaningful, competition results must be achieved on a level playing field. Doping and the inappropriate use of normal medications present a serious threat to the integrity and reputation of our sport, because they give athletes an unfair advantage and threaten the welfare of horses. Therefore, it is the responsibility of the entire equine community: athletes, veterinarians, grooms, managers, coaches, owners, officials, and our National Federations to join together to help combat doping and the inappropriate use of medications through better education and increased vigilance. The FEI's Clean Sport Campaign is a coordinated effort at many levels to provide all our stakeholders with the information and tools necessary to address the issue head on. We hope the campaign will also serve as a call to action to all to reaffirm their commitment to fair play and horse welfare. The concept of Clean Sport is about much more than a new list of prohibited substances and a new rulebook. It's also about better judgment, professionalisation of the officials that regulate our sport and consistency of decisions. It's a complete package and its success depends on everyone playing their part to maintain that level playing field. Dubai : Defending champion Ali Khalfan Al Jahouri delivered a stunning repeat performance to win the His Highness Shaikh Mohammad Bin Rashid Al Maktoum Endurance Cup for the second year in succession at Dubai International Endurance City yesterday. Al Jahouri held off a challenge from Al Wathba stables teammate Mohammad Mubarak Al Sayari in a dramatic finish to prevail by just two seconds. The talented Emirati horseman, who has ridden and trained purebred Arabian endurance horses for the last 10 years, clocked a winning time of 6 hours 31 minutes and 19 seconds. Al Sayari was two seconds back in 06.31.21 seconds. Shaikh Mohammad Bin Rashid Al Maktoum, Vice President and Prime Minister of the UAE and Ruler of Dubai, also participated in the event together with his son Shaikh Majid Bin Mohammad Bin Rashid Al Maktoum, Chairman of Dubai Culture. The FEI CEI three-star ride was held over a distance of 160 km and organised by the Dubai Equestrian Club. Al Jahouri looks to be in red-hot form having only last week won the Emirates Championship at the Emirates International Endurance Village in Al Wathba, Abu Dhabi. Riding Bouwman Nasrof, a nine-year-old grey gelding, Al Jahouri rode a patient race. After finishing the first and second loops in 12th and 13th places, he moved up the field in the third loop to take fourth place. The 34-year-old Al Jahouri went into the lead in the fourth loop and paced his horse perfectly in the first loop to narrowly beat Al Sayari. The latter also delivered a strong performance moving up the field from 21st position to make a bid for the title in the final loop. Saif Sultan Abdullah Dhahi Al Bu Amim, representing the Al Aasfa Stables, took third place with a time of 06.33.12 seconds. Al Bu Amim led for the early part of the ride but gradually dropped back after each of the first loops. Over hundred riders from UAE and Europe participated in the prestigious competition including two ex-World Cup champions. The ride distance was divided into six phases. The Red Loop comprised 31km after which the horses were presented twice within 20 minutes and 30 minutes hold time. The second phase through the Blue Loop ran over 30km and the same rules as above for the presentation and the hold time applied. 1. Al Khalfan Al Jahouri (UAE/ Al Wathba Stables/ riding Bowman Nasrof). Time: 06:31.19secs. 2. Mohammad Mubarak Al Sayari (UAE/ Al Wathba Stables/ Kalifa) Time: 06:31.21secs. The infamous ironman contest sounds to be at the extremes of human endurance, but it is probably good training if you are an endurance rider about to set out for a 100 mile saunter through the night on horseback. Rural Living spoke to Wendy Farnell, who with her husband John spent ten years abroad training horses for this very exacting equestrian discipline. Today Wendy is secretary for the Counties Distance Riding Club which organises Endurance championships throughout the country. "This club has been in existence for ten years, and started with mostly trail riding before concentrating on endurance competitions. Effectively these events are marathons on horseback, with several different categories from the longest of 160 km starting at 1am on Saturday to the more junior events down to 57km. "Each Class starts at different times throughout the night - or early morning! Everything about this sport is very exacting. The horse may not even set off if it doesn't meet the vetting criteria, and there are several points throughout the ride at which it could be disqualified – including right at the very end - we say this is a great sport for bringing you down to earth!" Three days in the desert, with high speed and heat formed the backdrop of the 4th edition of HH Sheikh Sultan Bin Zayed Al Nahyan Endurance International Festival. Some races were part of the event in Boutheib Endurance Village: International Open Race FEI *** 240 km, Juniors & Young Riders 120 km **; Privates Horses 120 km **; Federation Qualifier Ride 80 Km and 40 Km Qualification Ride. Starting December 31, 2009, the Festival also included an auction in Boutheib Stables. The event was organized by the Emirates Heritage Club with the Federation of United Equuestre (EEF). Coincidence or not, is another year that Al Wrsan Stables remain unbeaten in the competition of 240 km. Only Sh Sultan Bin Zayed Al Nahyan stables has this trophy, while most stables, trainers and veterinarians in the United Arab Emirates hope to come. The distance of 80 km per day can apparently not be difficult, but certainly this is one of the most difficult races in the desert, inhibiting many stables to participate with their horses. Their prefer to save them for other events less technical. It takes much training, wisdom and sensitivity for the horse/ rider to finish the 240 km in good physical condition. This year, the highlight was the argentinian horse breeding Cal Puelche, that led Wrsan Stables to the highest place of the podium. With an average speed of 23.36 Km/h, Puelche was with Abdulla Rashid Mohd Saeed Al Naqbi and all scored a total of 10h16min12s on track. Puelche presented during the three days of competition good recovery. The time recoverying was between 1min16s/ 2min40s. Only the return of the first loop the horse was slow to recover and have to wait 6min14s to go into the vet check. CAL Puelche performed at the vet check nine times and added an average recovery with 19min22s. In the first loop, Puelche arrived with the 27th place. The speed on track in this loop was 24 km/h. In the second loop the horse recovered many places, taking second place and the speed was 25.83 km / h in the desert sands. 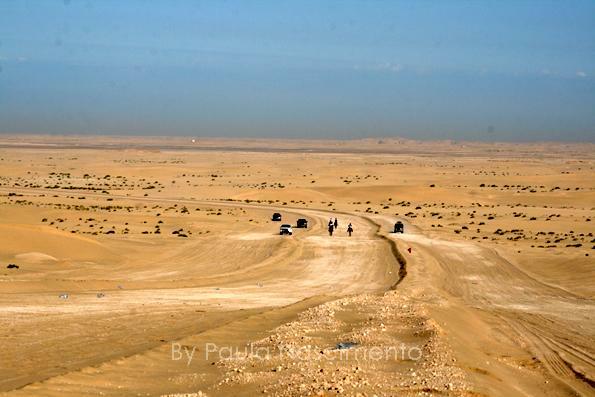 After Puelche and Abdulla was between 4, 2nd and 1st place, but not reaching the highest speed that the 2nd loop (1 day). Puelche performed well in all stages, including the initial inspection of each day to start. Cal Ramon, in Argentina, was the Puelche breeder in Argentina and trainer was Jorge Vita, then when the horse was exported to the United Arab Emirates in 2008. The second place was Saif Salem Mohd Al Fares which Raaward Kasmin, Dubai Endurance Stables. They stay every day in the top 10 and on the last day was running for the top of the podium. Raaward made the 1st loop with the average 25.39 km/h and finished the race at a speed of 24.58 km / h, with only two seconds off the champion. The total time of his recovery was 28min48s. The third place went to Munthar Ahmed Al Baloushi and Jibbah Enog, a horse feared and respected in the UAE. Representing the Al Reef Stables, Jibbah was leading the race for 5 loops and made the race in 10h16min33s. The average speed was 23.35 km / h and the recovery of the horse enviable, since not passed 1min55s. In the third loop Jibbah performed with only 1min17s, totaling just 12min49s recovery. The trainer of Jibbah in Al Reef Stables is Yousef Ahmed Al Bloushi. Who win the best condition was My Last Mabrouk, ridden by Fauiz Jameel Al Turkoman. They was the 7th place and made the race with an average of 22.08 km/ h and 10h51min59s. They was grown during the three days of competition, leaving 20, 19, 14, 13, 12, 9, 9, 7 and 7 respectively. My Last Mabrouk is a horse in the Fazaa Endurance Team Stables. On the first day (December 31), the race was divided into loops of 30 km, 30 km and 20 km, starting at 6am. Was 50 horses that begin the race in search of the title and many stables in order to end the hegemony of the ever-victorious Al Wrsan. Were 38 sets that ended the 80 km in the first day. On the second day, only 34 went to the trail in the fourth loop and completed the 6 th loop 23 horses. All days were 3 loops that made up the tracks, totaling nine rings. Start on the morning of 02 January 23 horses and 19 finished the race. On the last day of racing was impossible to know the winner and the last three loops the dispute was between the top three who took turns in the standings. Among the horses that were in race, was the Brazilian horse WN Peronek, exported to the United Arab Emirates in April 2008 for Al Wrsan Stables. In Brazil, Peronek was owned by Renato Salvador. Highly praised by professionals in the stable arabic, Peronek was eliminated on the 2nd day, after run 140 Km. He left the race after finishing the 5th loop. Peroneck was with Bader Ali Saeed Al Kayoum and remained at 18, 21, 18 and 15 place. The highest speed that was reached 24.78 km / h.
In Provately Owned Horses CIS * 120 km, the winner was Ylmood, ridden by Eduardo Herrara Saravia, representing the team Al Ain Endurance Stables. With an average speed of 22.93 km/h , the horse completed the race in 5h14min. Second place went to Rashid Saeed Al Kamda with RS Najid, averaging 22.77 km / h and only two minutes behind the champion. Al Kamda is the buyer of the Brazilian horse breeding Al Galyb HCF. In 2009, he bought three more horses in Brazil, sold by Haras Morada do Sol, owned by Silvio Arroyo. The horses are breeding for Kazik Stud, that the owner is Cláudio Ribas. With the third place on the podium was Zafar Nawaz Shah with Bicho and did 22.74 km / h.
Among the Juniors & Young Riders the winner was Ahmad Saeed Mohammad Al Fares with Fenwick Cadenza, the Seeh Al Salaam Stables. The average race was 25.35 km / h and 4h41min01s. The second place was Rashid Ahmed Al Bloushi (Al Reef Stables) withTrojano and the average speed 25.34 km / h, reaching a few minutes after the winner. And third was Mohammed Saeed Mohd Al Fares Twaf with 23.58 km / h (Seeh Al Salaam Stables). The Best Condition was Sweet October, ridden by Magali Mendez, the Emirates Stables. Attended every day of the competition Sheikh Hazza Bin Sultan Bin Zayed Al Nahyan and Sheikh Khalid Bin Sultan Bin Zayed Al Nahyan and formed the ceremony of awards in Boutheib Endurance Village. It was the U.S. ambassador Richard G. Olson, who was part of the podium delivering the prizes. The website Endurance Brazil and Arabian Horse Magazine paid tribute to Sheikh Hazza in thanks to the invitations to coverage of the event. It was the 4th edition of the Festival and the first was won in 2007 by Sh Hazza Bin Sultan Bin Zayed Al Nahyan on ZT Faraventure. In 2008 it was the turn of his brother, Sh Khaled bin Sultan Al Nahyan who formed together with Nemer (Roxborough Zepher) and in 2009, third edition, the winner was Abdul Rahman Mohd Karam riding Nemer (Roxborough Zepher). DUBAI - Over hundred riders from UAE and Europe will line up under the early rays of the sun for the 160km FEI CEI Shaikh Mohammed bin Rashid Al Maktoum Endurance Cup 2010 at the Dubai International Endurance City on Saturday. The prestigious competition has attracted top 12 riders from Europe based on their European rankings including two Ex-World Cup champions. The riders have arrived with their horses and preparations have been made to provide them with the utmost comfort. The riders expressed their pleasure with the facility and warm welcome they have been receiving in Dubai thanks to the Arabian hospitality and friendly people and atmosphere. According to Ali Mosa, general manager of the Dubai Equestrian Club, all arrangements have been made to stage the race. “The distance has been divided into six phases. The Red Loop comprises 31km after which the horses should be presented twice within 20 minutes and 30 minutes hold time. The second phase through the Blue Loop runs over 30km and the same above rules for the presentation and the hold time apply. The Yellow Loop extends over 37km, followed by the Green Loop over 27km, the Pink 18km and the final White Loop over 17km,” he said. Some of the loops have been done in previous World Cups and the others are new. The surface is a mixture grounds and the race is expected to be competitively fast. The organisers are expecting the winner to cover the 160km in eight hours while the lazy horses may need up to 13 hours to cross the finish line. But the maximum riding time will be for 16 hours. The pre-ride briefing will be held in the Vet Gate at 6am on the race day. The Best Condition horse will be selected from the first ten horses finishing within one hour after the first placed horse. The competition will be held approximately one hour after completion by the 10th placed horse. Any horse retires after the start must be presented to an official ride veterinarian before it. Defending champion Ali Al Jahouri said he’s ready to defend his title but expected the race to be tough and the competition to be fierce. “There’s nothing easy in the sport. Nobody can say he’s going to win a race or his horse is better than the other. We learned from the sport that the welfare of the horse comes first and for this reason it’s very difficult to predict what lies next,” he said. Regarding his preparations to retain his crown, Al Jahouri said his horse is doing everything right but will happen on the ground is something different. “We are well prepared for the competition and hopefully our plan would work and go for a back to back win for Al Wathba Stables,” he said. Dibrugarh, Jan. 13: It will be more than a test of endurance for the debutantes. Five Manipuri ponies have been introduced to compete with other established breeds at the daylong one-star Conquer Endurance Internationale meet, organised by the Equestrian Federation of Assam with assistance from the Equestrian Federation of India in Dibrugarh on January 22. Though Dibrugarh had been holding equestrian events regularly for riders from home and abroad, never before have Manipuri ponies taken part in any of the events in this Upper Assam tea town. The organisers have named the meet Eastern Himalayan Ride, 2010. "The event, which will cover a total distance of 60km, is expected to have participation from all the top endurance riders of the six countries which have been invited. We are fielding indigenous ponies in the endurance event and hope that it will be exciting," said Siddhartha Sharma, the secretary general of the Equestrian Federation of Assam. Apart from top riders from host nation India, the invited countries are Switzerland, the US, South Africa, the UK, Argentina and Australia. "We wanted to give the event a global look so that we can have at least riders from one nation from each continent, we do hope that all of them will turn up, most of them had confirmed too. It will be really exciting to watch the Manipuri ponies in action for the first time in this part of the country. So far we have seen them in polo matches and races. We hope followers of equestrian will love this addition of new breed of horses," Manoj Jalan, the chief adviser of the Equestrian Federation of Assam, added. Unlike other sport, organising an equestrian event takes months and even years of proper planning and correspondence within the state federation, national as well as the international body, the Federation Equestre Internationale (FEI). Organising the one-star Conquer Endurance Internationale - French for International Endurance Championship - in Dibrugarh had taken months of planning and preparation by the Equestrian Federation of Assam. "The riders will have to criss-cross sandy banks of the Brahmaputra and trek through tea gardens with the Himalayas in the background. This is why we thought to christen the event the Eastern Himalayan ride," Jalan said. This is the second time Dibrugarh is hosting an international endurance event, the first being held in 2003. Riders from various nations largely appreciated the track. Ian William, the head of the endurance department of the FEI, is expected to arrive in Dibrugarh shortly and will act as the president of the ground jury and oversee the technical conduct of the event. Rod Fisher, an eminent equine sport veterinarian, will be a foreign veterinary delegate and act as the president of the Veterinary Commission, said Brig. (retd) K.S. Rao, the technical director of the event. Rao had been associated with the Equestrian Federation of Assam for a long period and was also the former director of the Meerut-based Army Equitation School - now upgraded into a college - while in service. Equestrian was held in 2001 for the first time in Assam and most of the events had been held in Dibrugarh. Former Waihopai Valley rider Kylie Avery showed her skills at last weekend's Annandale Feeds South Island Endurance and Competitive Trail Riding Championships in Chestnut Valley, taking out the Radich Law CE1 1* 100-kilometre title. On a challenging course in the Wairau Valley, Avery, on her horse Silands Mia Bella, headed off Jessica King riding Wishum, with Tessa Deuss, from Wellington, third on Samson 11. Avery backed that effort up on Silands Jasark with a second placing in the Mitavite CE1 2* 120km event and later won the Best Conditioned 100km award with Silands Mia Bella. 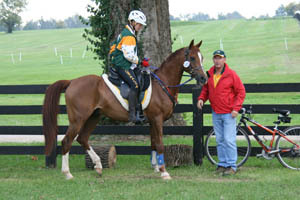 The event included a wide range of courses, from 160km in the top endurance event to 32km trail rides. The 160km event started in darkness at 1am, the first two loops completed with the aid of headlamps and glow markers. Stables and yards at events run under Equestrian Australia rules now have to be of solid construction. As of January 1, electrified tape, strings, ropes or chains, are no longer be permitted at EA events. The new rule falls under Article 109.3 of the EA General Regulations. At New Zealand endurance events those yarding horses can no longer use single hotwire tape yards, but instead must construct an area that is double taped and electrified and cornered with waratahs. Princess Lalla Amina, Chairwoman of the Moroccan equestrian federation (FRMSE), chaired on Saturday the kick-off of the first official competition of equestrian endurance riding. This competition, part of efforts undertaken by the FRMSE to promote equestrian practice across Morocco, brought together 60 horse riders who raced distances of 20, 40 and 60 km. The winners received symbolic awards, following this race which lasted over 8hours. BAHRAIN'S Royal Endurance Team captain Shaikh Nasser bin Hamad Al Khalifa and UAE Prime Minister and Vice-President, and Dubai Ruler Shaikh Mohammed bin Rashid Al Maktoum yesterday shared the top place in the second round of the Giants Endurance Challenge at the Bahrain International Endurance Village in Sakhir. With His Majesty King Hamad watching from the sidelines, Shaikh Nasser and Shaikh Mohammed rode side by side - with the Bahrain and UAE flags held high - in the gruelling 120-kilometre, five-stage race which was sponsored by Unicorn Investment Bank. The joint-winners were a class apart to the rest of the field. They clocked identical times of four hours 57 minutes and 40 seconds, completing the event nearly 10 minutes ahead of their closest challengers. Shaikh Nasser, riding Fabio, rallied from ninth place at the end of the first stage to take the lead by the conclusion of the fourth. At the same point, Shaikh Mohammed was behind him, just seven seconds adrift. Riding SAS Alexis, Shaikh Mohammed powered ahead and managed to close the gap. Shaikh Mohammed and Shaikh Nasser eventually crossed the finish line together. Shaikh Nasser had a top average speed of 24.74kph while Shaikh Mohammed, who was consistently among the leading three from the very start, had a best average speed of 24.88kph. Shaikh Majid bin Mohammed bin Rashid Al Maktoum, another leading participant from the UAE, finished third. Riding Star Dancer of Glendu, Shaikh Majid finished in 5:09:50. Horacio Ferjancic Diaz and Ali Salman Al Sabri, both representing the UAE, came in fourth and fifth respectively. Diaz, riding Eliska du Vialaret, had a total ride time of 5:25:00, while Al Sabri, on Madji du Coroux, finished in 5:33:08. Royal Endurance Team rider Jean Philippe Frances on Liqourice came in sixth in 5:37:14. He was followed by Jaume Punti Dachs, one of several Spanish riders competing in the event, in 5:37:18. Abdulhak Kaddouri was the second-best Bahraini taking eighth place overall. Riding Currowan and representing the Royal Endurance Team, Kaddouri finished in 5:49:25. Rashed Mohammed Ali Abbar of the UAE came ninth in 5:50:11, and Bahrain's Yousef Taher rounded out the top 10 in 5:57:41. Only four more among 60 riders who took part finished the race. Mohammed Abdullatif Al Omair of Saudi Arabia was 11th overall, Abdulla Hassan Al Doseri of Bahrain 12th, and Hashim Moosa Al Baloushi and Fuad Abdulla, both of the UAE, 13th and 14th. Bahrain Royal Equestrian and Endurance Federation president Shaikh Khalid bin Hamad Al Khalifa also took part yesterday but did not feature among the top finishers. Following the event, His Majesty King Hamad presented the winners their with respective awards. Among others who were present yesterday at the race venue was Southern Governor Shaikh Abdulla bin Hamad Al Khalifa, who flagged off the race at 7am, and Dubai Crown Prince Shaikh Hamdan bin Mohammed bin Rashid Al Maktoum. The third and final round of the Giants Endurance Challenge will be held in Dubai in the last week of this month. The points accumulated over the three rounds will decide the series' overall champion. photo: * Second and third-place winners of the 120km Emirates Championship endurance ride, Musab Saleh Al Marzouqi (right) and Mag Singh Chain Singh at Al Wathba Endurance Village yesterday. Abu Dhabi : Ali Khalfan Al Jahouri came up with fine exhibition of skilful endurance riding to win the Emirates Championship at the Emirates International Endurance Village in Al Wathba, Abu Dhabi yesterday. Riding the 12-year-old gelding Berlioz De Piboul, owned by the Al Wathba Stables, Al Jahouri completed the gruelling 120-km ride in a time of 4 hours and 41.44 minutes. A strong field took part in the CEI 2* ride which divided into five stages of 32 kms, 28 kms, 24 kms, 20 kms and 16 kms each. The ride was sponsored by SAS Investments. Al Jahouri, a vastly experienced endurance rider averaged a speed of 25.56 kmph. Musab Saleh Al Marzouqi, riding the nine-year-old gelding Tidjaso finished second in a time of 4.43.57. Tidjaso is owned by Shaikh Ahmad Bin Humaid Al Nuaimi. India's Mag Singh Chain Singh, riding Yentl Raban, finished third in 4:44.00. Yentl Raban is owned by Al Wathba Stables. Uruguay's Carlos Enrique Lopez Morales on CAL Caushah took fourth place with a time of 4.49.26 while Emirati Omar Rashid Obaid Al Jarwan clocked 4:49.28 to place fifth aboard Hamaasy. THE second of three rounds in the 2010 Giants Endurance Horseride Challenge takes place today at the Bahrain International Endurance Village in Sakhir. The race, which is being sponsored by Unicorn Investment Bank, gets underway at 7am. It will flag off in the presence of Southern Governor Shaikh Abdulla bin Hamad Al Khalifa. The 120-kilometre event has been divided into five stages. The first and second stage will be 30km each, while the final three will be 20km apiece. Many of Bahrain's top endurance riders will be taking part in the round, including Royal Endurance Team captain Shaikh Nasser bin Hamad Al Khalifa and Bahrain Royal Equestrian and Endurance Federation president Shaikh Khalid bin Hamad Al Khalifa. Also saddling up for the hosts will be Shaikh Daij bin Salman Al Khalifa, Abdulhaq Qadoori and Yousef Taher. The Bahrainis will be looking to make an impact in today's ride following a disappointing performance in the first round in Abu Dhabi last month, when they all were forced to pull out in the middle of the race. Meanwhile, leading riders from the UAE, Spain, Uruguay, India, Oman and Jordan will also be taking part. Spearheading the Emirati contingent will be UAE Vice-President, Prime Minister and Dubai Ruler Sheikh Mohammed bin Rashid Al Maktoum. All the participants yesterday made their final preparations for the event, including the final medical checks with the championship's official veterinarians on their horses. The race will be televised live on Bahrain and Dubai sports channels, while updated results will be available on alfurrsan.com. Following today's activities, the third and final round will be held in Dubai in the final week of this month. The points accumulated over the three rounds will decide the Challenge's overall champion. Round one was won by Majed Al Jahouri of the UAE. He was followed by Federico Zubiaurre of Uruguay in second, while Ahmed bin Harmash of the UAE finished third. Marwari horses, loaned by Rawal Devendra Singh of Nawalgarh, succeeded in taking the Bronze medal with an all ladies Team representing Great Britain & the UK Chapter. This was an 81km endurance race with 10 teams invited, plus some individuals, and consisted of 4 laps of 20.25km per lap, in one day, against the clock . All competitors were 'vetted' in between laps to check the horses heart rate, hydration, soundness and general well being, to ensure the horse was 'fit to continue' and not in distress. The Indian Army entered 2 teams and took gold and silver followed by the British invitational group in Bronze position. Team members were from Endurance GB: Lesley-Ann Parker, Pip Westwood & Bryony Dickins and were joined by Caroline Moorey who is the Chair of Friends of Marwari/Kathiawari Horse UK and also the UK / India link for the event. The British were the only ones to get all their horses home, and Lesley-Ann, Caroline and Pip achieved the ultimate of riding all 4 loops together, vetting within 2 minutes each time and crossing the line together shouting 'MARWARI'. Other countries present were, France and Italy (with Assissi squad members riding), Russia, America, Sri Lanka and Indian civilian teams. Team GB rode the Indigenous Marwari breed of horse, who have unique lyre shaped ears, provided by Rawal Devendra Singh who was delighted that the horses were so successful in such an international arena, he said that "the British team’s success could only help to raise the breed profile, especially for this discipline, in which they seem to excel." Last year three of the team (Lesley-Ann, Caroline and Bryony) took the gold medal for 50km riding Marwari horses loaned by members of the IHSI (read full report in our first newsletter which is on the website www.friendsofmarwari.org.uk). This year Caroline went out early to choose and prepare the horses many weeks before, and was pleased that, as the picture shows, the horses crossed the line looking as though they could have gone around again. The team had many comments from the vets and officials as to how well they rode the race. A professional equestrian photographer from Britain was invited by Caroline to record the event for the team this year, and he can be contacted via his website: www.michaelhuggan.com . Team motto was 'to finish is to win' - to gain a medal was a bonus! Lexington, KY—The 2010 Alltech FEI World Equestrian Games needs Heroes! Thousands of volunteers are stilled needed to work hundreds of different jobs during the 16 days of the Games, which will be held for the first time in American from September 25-October 10, 2010 at the Kentucky Horse Park. "We need volunteers who can lend their expertise to help make these Games a success, no matter their professional skill level," said Melissa Gamble, Volunteer Manager for the World Games 2010 Foundation. "You might work as a ticket-taker, an usher, work at a visitor information desk, or help with transportation or event services, but each is a very important part of how these Games work every day." Volunteer positions for competition-specific duties are currently being selected, but thousands of General Volunteers are still needed. Volunteers can still register their interest at www.alltechfeigames.com/volunteer. In addition, there is still time to reconfirm your interest as a volunteer if you signed up within the past two years. To reconfirm interest or adjust current contact information e-mail volunteers@feigames2010.org. All volunteers will receive an official Ariat uniform and a volunteer credential, which will provide General Admission entry to the grounds of the park for all 16 days of the Games. In addition, meal vouchers will be provided for each volunteer during their shift. According to current volunteers, the benefits of volunteering extend far beyond the uniform. "The opportunity to assist with an international sporting event is something that many of us will never again experience," said Carolyn Greene, who volunteered during each of the 2009 Test Event competitions for the Games and is now volunteering full-time at the World Games 2010 Foundation office. "Volunteering is part of who I am and what I do, and I am having a blast here." Martin Klotz volunteers his time as part of the Games' Speakers Bureau. After participating in a training program with staff members, Klotz carries the story of the Games to community groups throughout the Louisville area. "After each presentation, I have come away with the feeling that I had created an awareness of the Games in those who had not thought much about them and enhanced the interest in those who had," said Klotz, who has also worked as an usher at the 2009 Test Events. "Of course, I hope I will continue to have the opportunity to help 'spread the word' about this monumental event." It is not too late to experience the Games as a volunteer. For more information, visit www.alltechfeigames.com/volunteer or call 859-244-2996. The 2010 Tevis Cup Ride Application for the 55th Annual Tevis Cup, to be held on July 24, 2010, is now available for download from the WSTF website and is featured at the top of the home page: http://www.teviscup.org/home. There will be a Tevis Cup Ride booth and cocktail party at the AERC Convention in Reno. The Western States Trail Foundation Board and the many volunteers hope to see you there and at the ride in July. It will be the best year yet! Linda Harmon will have no excuses for getting lost at this weekend's South Island Endurance and Competitive Trail Riding Championships in the Chestnut Valley. It's not just because she is an experienced rider, or that the champs are in her home province, but because she has spent the past week marking out the tracks. The South Island champs will see riders tackle courses ranging from 160 kilometres in the top endurance event to 32km trail rides. For Harmon, the task has been finding tracks, which consist of large loops ranging from 20km to 40km, then marking them with whatever she can get her hands on – including a host of old roadside markers sourced from Works Infrastructure. The reflective surfaces on the road markers will be particularly welcome to riders in the 160km event, which starts at 1am tomorrow. The first two loops will be completed in the dark with the aid of headlamps and glow markers. The courses will take riders through the hills of the Chestnut Valley, in the Wairau Valley, weaving in and out of forestry along the way. Harmon said riders could expect some challenges. BAHRAIN Royal Endurance team members Shaikh Daij bin Salman Al Khalifa, Yousef Taher and Abdulhaq Qadoori confirmed their participation in the 2010 Giant Endurance Horseride Challenge on Saturday at the Bahrain International Endurance Village in Sakhir. The trio veterans will lead a group of team riders in this ride which is one of three events in the 2010 series being jointly organised by Bahrain and the UAE. Top riders from other Gulf, Arab and international countries are expected to take part, including UAE's vice president, Prime Minister and Dubai Ruler Shaikh Mohammed bin Rashid Al Maktoum. Team captain Shaikh Nasser bin Hamad Al Khalifa will lead the Bahraini riders in Saturday's ride. He will be accompanied by Bahrain Royal Equestrian and Endurance Federation's president Shaikh Khalid bin Hamad Al Khalifa. Shaikh Nasser, who came second in last year's Bahrain round, hailed the international gatherings hosted by the Endurance Village in Bahrain as a chance for the elite of champions to compete and exchange skill. The Bahrain Olympic Committee president expressed gratitude to Unicorn Investment Bank for sponsoring the prestigious event, especially its chief executive Majid Al Refai, and expressed his wish that the support would continue in future competitions. He commended the directives and positive ideas of Breef president Shaikh Khalid bin Hamad Al Khalifa, mainly in what pertains to prizes which were allocated in a gradually encouraging manner to add more thrills to the competition. Shaikh Khalid gave his directives to allot a valuable cash prize for the best rider at each of the five stages and to honour the top three riders at the end of the championship. Saturday's ride will be open to everyone and all participating riders must weigh at least 75 kilogrammes without riding equipment. The third and final leg will be held in Dubai on the last week of this month and points accumulated over the three rounds will decide the overall champion. In the first round of the series, which took place at the Emirates International Endurance Village in Al Wathba, Abu Dhabi last month, featured a disappointing finish for all the four Bahraini riders. Bahrain were spearheaded by Royal Endurance Team captain Shaikh Nasser bin Hamad Al Khalifa, Shaikh Khalid bin Hamad Al Khalifa, Shaikh Daij bin Salman Al Khalifa and Ahmed Janahi who pulled out at different stages of the ride. Colombia will host it's first 160km FEI event on February 5 and 6th. 40km, 80km, 120km and 16km distances will be offered. The Sun City ride in New Mexico on February 27 and 28, 2010, is an FEI sanctioned ride (CEI 1*/2*). It was left off the previously published calendar. The USEF website lists the competitions of 2010 at http://www.usef.org/_IFrames/competitions/compSearches/compSearchResults.aspx. It has been announced that the Young Rider European Championships in 2010 will be held at Kreuth, Germany, on the 2nd to the 8th August. MANAMA, JAN. 3 (BNA) CAPTAIN OF THE ROYAL ENDURANCE TEAM SHAIKH NASSER BIN HAMAD AL KHALIFA EXPRESSED PRIDE THAT THE KINGDOM WAS GETTING PREPARED TO HOST THE SECOND ROUND OF THE 2010 GIANT ENDURANCE HORSERIDE COMPETITION ON SATURDAY, JANUARY 9, 2010. HE WELCOMED THE GULF, ARAB AND INTERNATIONAL PARTICIPANTS, NAMING IN PARTICULAR THE UAE EQUESTRIANS, LED BY UAE VICE PRESIDENT, PRIME MINISTER AND DUBAI RULER SHAIKH MOHAMMED BIN RASHID AL MAKTOUM. HE HAILED THE INTERNATIONAL GATHERINGS HOSTED BY THE ENDURANCE VILLAGE IN BAHRAIN AS A CHANCE FOR AN ELITE OF CHAMPIONS AND GIANT EQUESTRIANS TO COMPETE AND EXCHANGE SKILL. BESIDES, SHAIKH NASSER COMMENDED THE DIRECTIVES AND POSITIVE IDEAS OF THE BAHRAIN ROYAL EQUESTRIAN AND ENDURANCE FEDERATION (BREEF) PRESIDENT SHAIKH KHALID BIN HAMAD AL KHALIFA, MAINLY IN WHAT PERTAINS TO PRIZES WHICH WERE ALLOCATED IN A GRADUALLY ENCOURAGING MANNER TO FUEL COMPETITION. SHAIKH KHALID GAVE HIS DIRECTIVES TO ALLOT A VALUABLE CASH PRIZE FOR THE BEST RIDER AT EACH OF THE FIVE STAGES AND TO HONOUR THE TOP THREE RIDERS AT THE END OF THE CHAMPIONSHIP. IT IS WORTH TO NOTE THAT THE CHAMPIONSHIP WILL BE HELD AT THE BAHRAIN INTERNATIONAL ENDURANCE VILLAGE IN SAKHIR AND COVER A TOTAL DISTANCE OF 120 KMS. THE Bahrain Royal Equestrian and Endurance Federation (Breef) is gearing up to host the second round of the 2010 Giant Endurance Horseride Challenge on Saturday. The event, one of three rounds this year, will be held at the Bahrain International Endurance Village in Sakhir and covers a total distance of 120 kms. In last year's Bahrain round of the series, the UAE's Vice-President, Prime Minister and Ruler of Dubai Shaikh Mohammed bin Rashid Al Maktoum raced to victory after a fierce battle with prominent riders from across the GCC. Breef's president Shaikh Khalid bin Hamad Al Khalifa has already issued directives for the successful conduct of this prestigious event to be organised by the Kingdom for the second consecutive year. Shaikh Khalid has also directed the organisers to announce valuable cash prizes to each rider who successfully completes one of the five stages. The top three riders at the end of the championship will also be honoured. The Breef's chief thanked Unicorn Investment Bank for sponsoring this event, especially its chief executive Majid Al Refai and wished for this support to continue in future competitions. He said Saturday's ride will be open to everyone, adding that all participating riders must weigh at least 75 kgs without riding equipment. The third and final leg will be held in Dubai in the last week of this month and points accumulated over the three rounds will decide the overall champion. In the first round of the series, which took place at the Emirates International Endurance Village in Al Wathba, Abu Dhabi, last month, four Bahraini riders failed to impress. The Bahrain team were spearheaded by Royal Endurance Team captain Shaikh Nasser bin Hamad Al Khalifa, Shaikh Khalid bin Hamad Al Khalifa, Shaikh Daij bin Salman Al Khalifa and Ahmed Janahi. All four pulled out at different stages of the ride. The overall winner in the first round was Majed Al Jahouri of the UAE. He was followed by Federico Zubiaurre of Uruguay in second place while Ahmed bin Harmash of the UAE was third. Abu Dhabi: Teenager Abdullah Rashid Mohammad Saeed Al Naqbi, representing Abu Dhabi's W'rsan Stables, won the CEI*** 240-kilometre Shaikh Sultan Bin Zayed Al Nahyan Endurance Cup in a close three-horse finish on Saturday. The ride was part of the Shaikh Sultan Bin Zayed Al Nahyan fourth International Festival which began on December 31. The participants were required to cover 80 km per day. Seventeen-year-old Al Naqbi, a pupil at the Abu Dhabi School, completed the race with a time of 10 hours 16 minutes and 12 seconds, just two seconds ahead of Dubai Endurance Stables rider Saif Salem Mohammad Al Faresi. He was once again astride the 11-year-old Anglo Arab gelding CAL Puelche. In third place with a time of 10:16:33 seconds was Munthar Ahmad Al Baloushi from Al Reef Stables. "It was a fantastic ride and from the penultimate day onwards I was confident that I would win," said Al Naqbi. "It was not tiring and it was my best performance in my career. I have been riding horses since the age of 10 and I have won many prizes." Uruguay's Eduardo Saravia Herrara, riding for the Al Ain Endurance Stables, topped the 120-kilometre event which also finished yesterday. Herrara completed the course in a time of 5:14.00 seconds, two minutes and eight second ahead of Rashid Saeed Al Kamda from the Al Kamada Stables. Al Ain Endurance Stables rider Nawaz Zafar Nawaz Shah took third place in a time of 5:16.30 seconds. The Junior & Young Riders CEI certified ride over 120-kilometres was won by Ahmad Saeed Mohammad Al Faresi astride the 12-year-old Anglo Arab chestnut Fenwick Cadenza. Al Faresi clocked 4:41.01 seconds for the distance. Guest of honour American Ambassador Richard G. Olson, Jr distributed the prizes in the presence of Shaikh Hazza Bin Sultan Bin Zayed Al Nahyan and Shaikh Khalid Bin Sultan Bin Zayed Al Nahyan. The event was hosted by the EHC in association with Emirates Equestrian Federation (EEF). It was also attended by Talib Dhaher Al Muhairi, president of EEF. 5. Aliya Ali AL Marzouqi (Castlebar Pilot) 5.8.18 (Fazaa Endurance Team Stables.